Are you toying with the idea of buying a mountain bike? Maybe it doesn't have to be a high-end bike for several thousand euro. For beginners in particular, it is recommended to first get started on a good-natured beginner bike. In this way you can familiarise yourself with the new off-road driving experience and tackle your first trails and climbs. 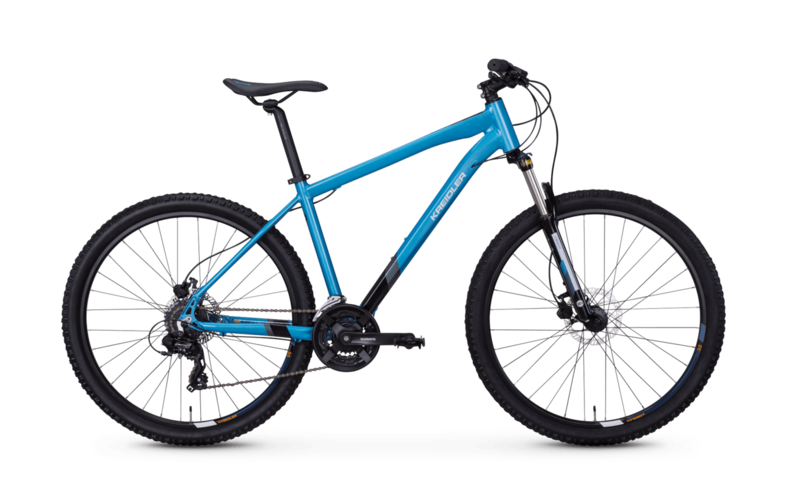 Our Kreidler Dice 27.5" 3.0 is a perfect beginner mountain bike. This hardtail offers all around good quality at a small price. The cassette from Shimano ensures precise, fluid switching processes. In addition, the bike has an aluminium frame that offers a good balance between agility and high stability. A disc brake from Tektro ensures that the brake power can be easily dosed.